Androids have claimed power over what remains of the human race. They rule without remorse. They are the Mind and humans exist only to serve them. Before the android uprising, select droids, called Servants, were pivotal in engineering a new human race with nanotechnology enhanced DNA. 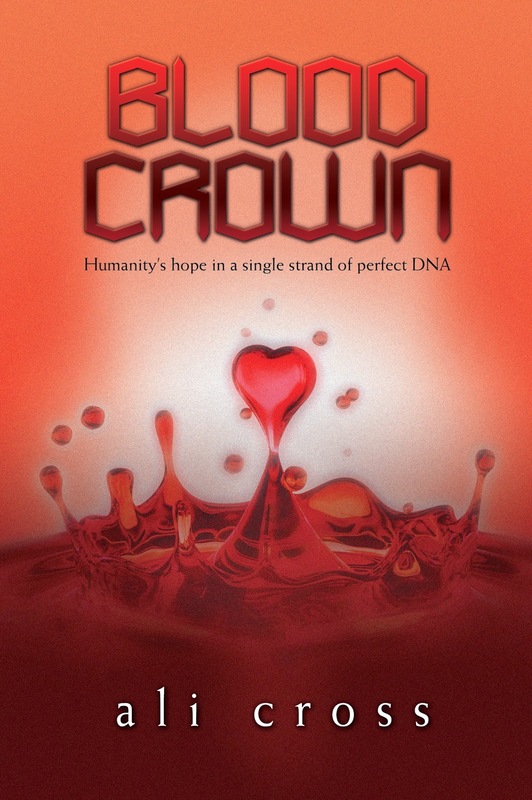 The Blood Crown theorum was to be humanity's crowning glory and the key to their survival in deep space. When Nicolai discovers Sera among a small compliment of kitchen staff, everything changes--but Sera's Gifts were never completed and she is ill-equipped to face a legion of androids determined to wipe her, and every other human, out of existence. 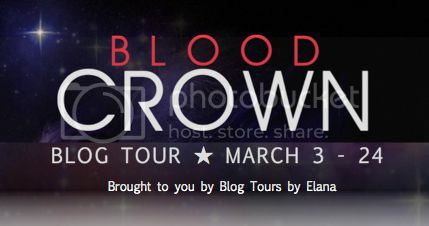 Their only hope is the Blood Crown--but even if Serantha and Nicolai can realize their potential it may be too late to save mankind. Shakespeare's Juliet said, "What's in a name? that which we call a rose / By any other name would smell as sweet:". Makes sense, right? I mean, it didn't change a thing that the gorgeous boy she was falling in love with was as Montague (spit, spit a pox on his house!). It's a nice sentiment, but it isn't universal. You could have The Very Best Book in the Whole Wide World and never know it if it's hiding behind a stunningly awful cover. So maybe we'd still love the fragrance of a flower if it was called Rub Your Bottom, but we rarely give ourselves the chance to fall in love with a book with a terrible cover. It's one of the reasons why I chose to be an indie author--I couldn't bear the thought of putting all my love and care into the best book I could write, and have a horrible cover slapped over it. I've seen it too many times. If you get a cover like Paranormalcy, well, then, it's all good. But what if you get a cover like . . . shhh I'm not going to say it. You know what I'm talking about. But being an indie has its own troubles, too. How do you find a great cover artist? How can you afford it? How can you convey your vision for your cover in a way that the artist can bring to life? It's what I thought I wanted but when it was made I kind of looked at it and went . . . Ummm? This cover didn't speak to me. It didn't tell me anything of what someone might find inside its cover. Okay, maybe there was love (there is a heart, after all), and yeah, it was sci fi (font), but . . . was there blood? Like a whole lot of blood? No. Not really. So my cover designer and I went back to the drawing board and totally re-imagined the cover. But it was work. And it took risking feeling bad (my designer had already spent a lot of time creating the first cover. The cover I said I wanted). But this is my book, my career. It was beyond important that I use this coveted control I said I wanted and put it to good use. I couldn't be emotional about my design choices, I had to be practical, and business savvy. In the end, it did become emotional--because I fell in love with the new cover. 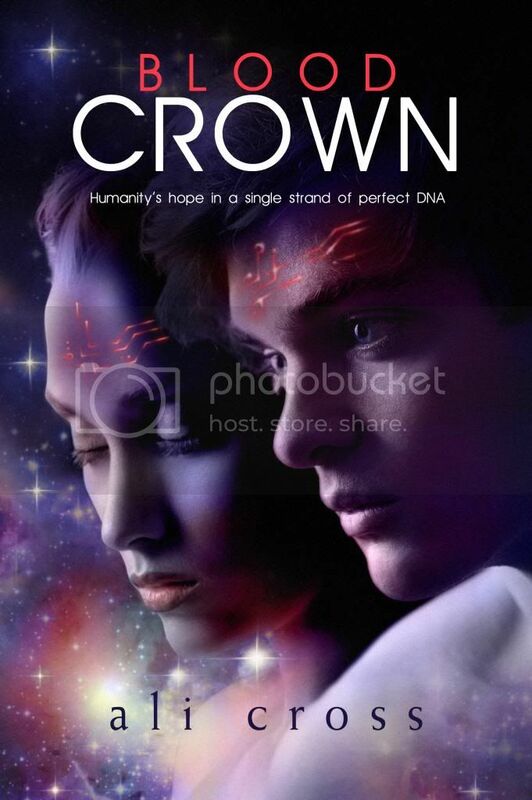 This is a sci fi (spacey background) romance (boy and girl). And oh, look! That thing on their foreheads? That's like a crown! And it's . . . ooh, its inside them. Bam. Sci fi. Romance. Cool tech/human evolution. I am head over heels in love with this cover. Scratch that, I'm over the moon. (Ha!) I think the cover's beautiful and telling--and I hope it invites you to open it up and see what beauty lies inside. I hope if you judge the book by this cover, that you find it wholly awesome and read-worthy! Thanks so much for stopping by today, Ali! So great to have you here!